NYR Children's Collection, 9781590178720, 40pp. Jean Merrill (1923–2012) was born in Rochester, New York, and grew up on a dairy and apple farm near Lake Ontario. She received a master’s degree in English literature from Wellesley in 1945 and later studied folklore in India on a Fulbright fellowship. She worked for many years as an editor at Scholastic Magazine, Literary Cavalcade, and the publications department of Bank Street College before turning to writing full time. Her first book, Henry, the Hand-Painted Mouse, was published in 1951 and her last, The Girl Who Loved Caterpillars: A Twelfth-Century Tale from Japan, in 1992. 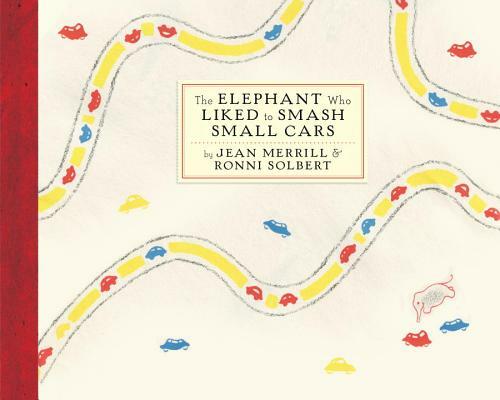 In between she wrote some thirty books for young readers, including The Pushcart War (1964; available from The New York Review Children’s Collection), The Elephant Who Liked to Smash Small Cars (1967), and The Toothpaste Millionaire (1977). Ronni Solbert (b. 1925) was born in Washington, D.C., and graduated from Vassar and the Cranbrook Academy of Art. As a Fulbright recipient she studied folk and tribal art in India. She has illustrated more than forty children’s books and written and illustrated three of her own. As a painter, sculptor, and photographer she has exhibited widely in the United States and abroad.